Throughout Church history, four walls and a steeple have housed the ideals of its membership’s convictions. While skyscraping spires focus believers’ faith on the hope of eternal life, at ground zero, day-to-day church life dirties the hands and feet of disciples committed to the paradigm-shattering plea of Jesus’ Matthew 6 prayer, “Thy will be done on earth as it is in heaven”. Whether a home for orphans, meals for the hungry, a shoulder for the grieving widow or discourse with skeptics, for centuries the Christian church has provided literal sanctuary for the severest of broken hearts and fragmented lives. But “sanctuary” has often been interpreted by the Western World’s modern church as a pulpit of politics rather than an asylum for the downtrodden. Defined by Webster’s as “a place of refuge and protection,” what was once an open invitation has evolved into closed communion. Tenth Avenue North has made a name for itself by turning the surface dazzle of radio hooks into substantive spiritual convictions. 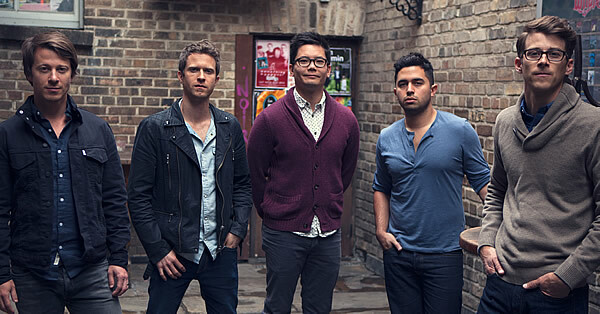 A collective of musicians raised by the church as children and employed by it as adults, the celebrated band recognizes the modern-day disconnect between the life of Jesus and the life of the church and uses this keen awareness and music, the medium they know best and have exercised most, to motivate the messages on their fourth studio release, aptly titled Cathedrals. 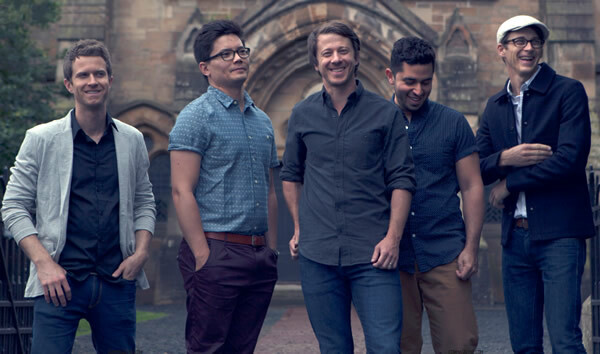 When Tenth Avenue North released their national debut over six years ago, little did the pop-rock quintet realize their discography would trace a musical Pilgrim’s Progress, journaling the members’ ongoing spiritual development and providing a substantive theological backbone to the band’s storybook commercial success. Moving the discography detail forward with the core message of their 2012 recording, The Struggle, he continues, “And when we’re honest, we can glory in Romans when Paul says we’re free to struggle.” But more than an isolated, internal spiritual experience, Cathedrals proposes that personal relationship with God is what motivates us into kingdom-building relationships with others. And through fellowship with each other, the Spirit is once again affirmed personally in our lives and through the lives of our neighbors—a loving full-circle experience that Mike says is hauntingly reflected in God’s own triune nature. We can all admit, it’s not easy to love others. Especially others we don’t understand. Differences in politics, race, economics and doctrine throw up immediate divides between pewmates. We barely understand God. So it makes sense that our neighbors, being created in His image, are equally inexplicable. We want to get along; we just can’t figure out how. Donehey suggests one look at Jesus will help. “Jesus was always available and always interruptible,” Mike relates, taking stock of the Messiah’s behaviors throughout the New Testament. “To be for other people means to let yourself be interrupted. People are more important than plans.” But in an age where rapid technological advancements have replaced sit-down conversations with on-the-go Facetime, creating space for others gets hairy. Using a modern hot button to example the function of this gracious space, Mike shares how a close bond with an openly homosexual member of his family has gifted him with a broader and more Biblical perspective of how to truly love one another. 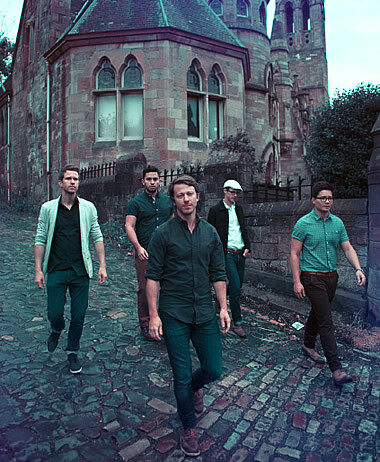 With over one million units sold, Tenth Avenue North is considered one of Christian music’s top creative and commercial forces. The bestselling discography has spawned a handful of Dove Award wins and chart-topping radio hits, and the band’s core message of hope through redemption has endeared them to thousands of fans. And until now, the bulk of their impactful song catalog developed with the influence of songwriters outside of the band. 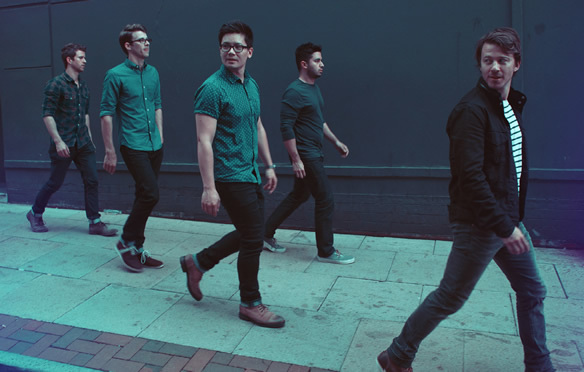 But on the popular quintet’s fourth studio recording, Cathedrals (Reunion Records), band members penned each track together while rollicking on the road as a part of Winter Jam’s cross-country lollapalooza earlier this year — appropriate considering the album’s focus on the importance of community. 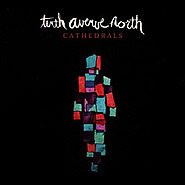 Produced by John Fields, famous for helming records by perennial acts like Switchfoot and Pink, Cathedrals unashamedly imbues the pop-rock hooks radio fans crave with band members’ personal musical preferences, granting listeners a more intimate and mature look into the ongoing creative evolution of Tenth Avenue North.